Brand new this year, your 2018 calendar is 6" x 4" comes in its own tabletop case - perfect for a desk or kitchen counter. Enjoy the beauty of Tampa for 12 months! 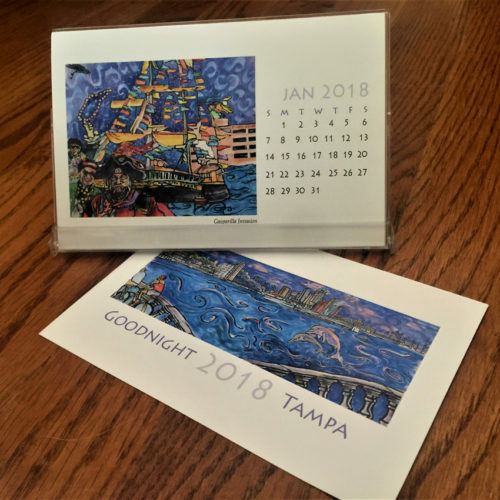 Every month features an illustration from local book, "Goodnight Tampa" and will remind you of all the great things Tampa has to offer. 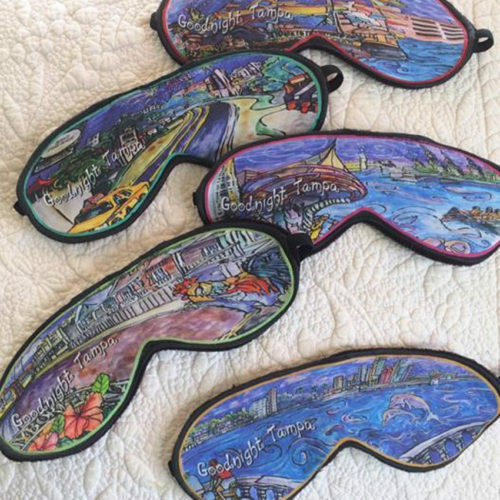 Our soft plush cotton sateen sleep masks will color your dreams with an illustrated page from the book, Goodnight Tampa! 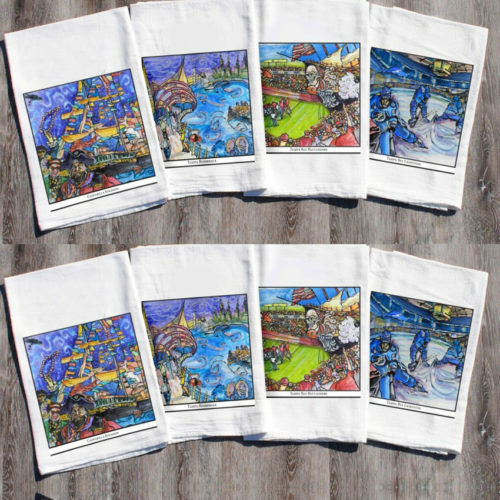 Natural, eco-friendly flour sack towels! We are certain you will appreciate the advantages of these towels made of 100% cotton flour sack material. These towels produce the minimum amount of lint, allowing for a cleaner clean for your household tasks!